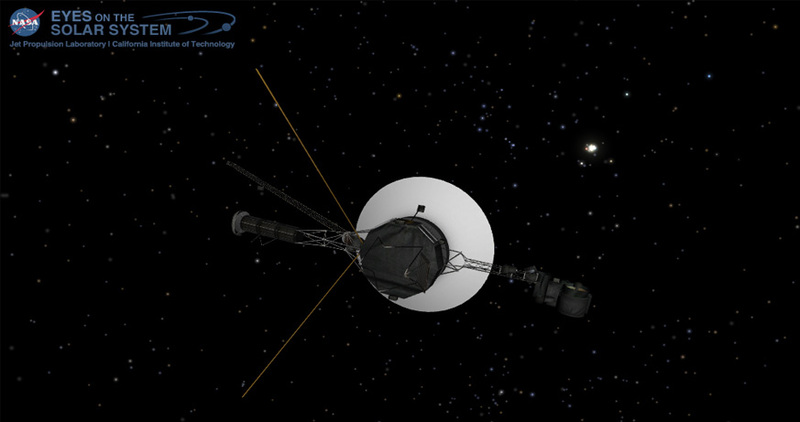 This is a real-time indicator of Voyagers' distance from Earth in astronomical units (AU) and either miles (mi) or kilometers (km). Note: Because Earth moves around the sun faster than Voyager 1 is speeding away from the inner solar system, the distance between Earth and the spacecraft actually decreases at certain times of year. This is a real-time indicator of Voyagers' straight-line distance from the sun in astronomical units (AU) and either miles (mi) or kilometers (km). The elapsed time it takes for light (or radio signals) to travel between the Earth and a celestial object. Note: Because Earth moves around the Sun faster than Voyager 1 or Voyager 2 is traveling from Earth, the one-way light time between Earth and each spacecraft actually decreases at certain times of the year. This meter depicts the dramatic changes in readings by Voyager’s cosmic ray instrument. The instrument detected a dip in the levels of charged particles that originate from inside our heliosphere(green), and rise in the levels of cosmic rays – charged particles that originate from stars other than our sun(orange). These data had suggested that Voyager 1 entered interstellar space on August 25, 2012, when the inside particles(green) dipped closer to 0.0 and the outside particles(orange) rose above 2.0. 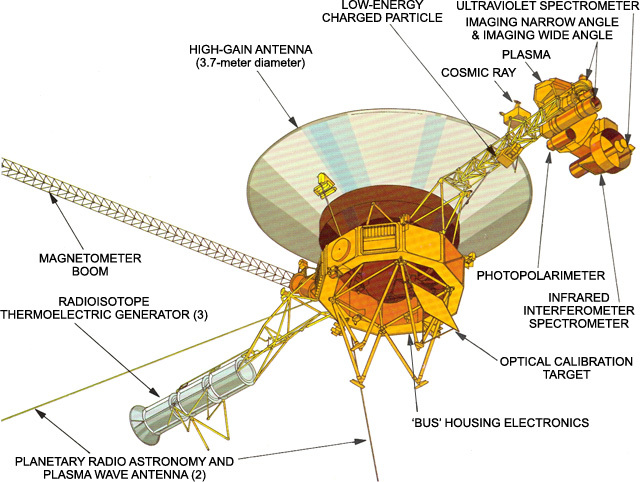 Both Voyager 1 and Voyager 2 have reached "Interstellar space" and each continue their unique journey through the Universe. In the NASA Eyes on the Solar System app, you can see the real spacecraft trajectories of the Voyagers, which are updated every five minutes. Distance and velocities are updated in real-time. For a full 3D, immersive experience click on View Voyagers link below to launch the NASA Eyes on the Solar System app.